We offer the best rain water systems around. 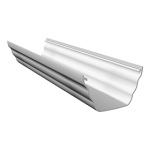 In both Seamless Aluminium and uPvc. 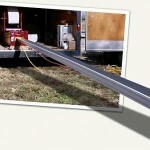 Our Seamless Aluminium Gutter can be rolled out of the back of our van on site for any required length with no joints! Our usual colours are Black, White and Brown. But all types of material come in a range of RAL colours. Please ask about this in your inquiry. All of our Products come in a range of RAL colours.